Want a getaway in Vendée, by the sea? This charming campsite invites you to stay in a quiet setting for a holiday under the sign of simplicity. 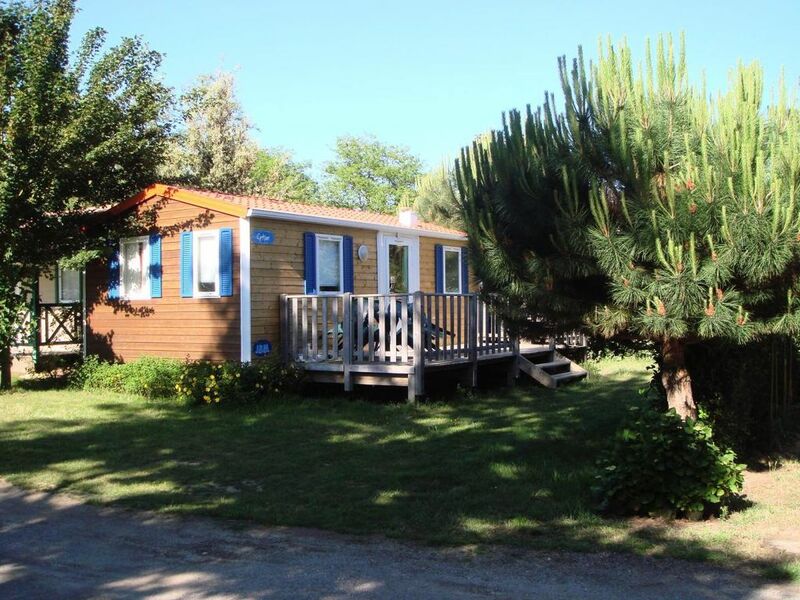 Located in Jard-sur-Mer 20 km south of Les Sables d'Olonne in the south-Vendée, small family structure, this charming campsite welcomes you in an intimate setting just 500 m from the city center and 100 m from the sea. sea and the marina. The site includes 37 pitches for campers (caravan, tent and camper) and 16 rentals (chalet with covered terrace, mobile homes, ecolodges). Wonderful holidays with family or friends are available to you. The WIFI is free 30 minutes at the reception and paid from a location 22 euros per week. It is not possible to rent a TV or bring your own. It is possible to bring your gas barbecue only. A pizza truck is present on the campsite from 11/04/2015 to 09/07/2015 and from 24/08/2015 to 27/09/2015. Ditto for the snack truck. Jard-sur-Mer is a family seaside resort, animated by its numerous shops, its pedestrian street, its 3 weekly markets and its animations every evening on the marina. Enjoy the beauty of our coastline on foot or by bike, and discover our beautiful department of Vendée and its exceptional landscapes. The tourist tax is only applicable in July and August. Pet supplement: 25 euros the week. Check in time is from 15:00 to 19:00 in high season and from 15:00 to 18:30 in low season. The reception is open in low season from 9:00 to 12:30 and from 14:00 to 18:30, in high season: from 8:30 to 12:30 and from 14:00 to 19:00. The bed linen is for rent: 13 euros per pair for the large bed and 10 euros for the small bed. The price for an extra car is 2. 90 euros per night. The campsite is kept at night in July / August. - From Nantes Motorway A 83 exit La Roche / yon direction La Tranche / Mer and Moutiers Mauxfaits - Jard / Mer. - Since A 87 Autroute Angers Cholet - La Roche / Yon then direction La Tranche sur Mer - Moutiers Mauxfaits - Jard / Mer. - From Highway A 83 exit Niort Fontenay le Comte - Luzon - Avrillé - Jard / Mer.